Christie®, a leader in creating and sharing the world's best visual and audio experiences, announced that SM Cinema, a subsidiary of SM Lifestyle Entertainment Incorporated and the largest movie theater operator in the Philippines, the SM Group, will be deploying an additional five units of Christie’s revolutionary 6-Primary (6P) dual-head laser projection system to expand its laser projection footprint in the Philippines. With this latest acquisition, SM Cinema will have a total of six Christie CP42LH 3DLP® 4K RGB laser projectors in its possession, making it the cinema operator with the largest fleet of Christie 6P laser projectors in Asia. SM Cinema recently installed Southeast Asia’s first Christie 6P laser projection system in its latest cinema complex located in SM Seaside City Cebu. Known as the “Large Screen Format” auditorium, it is equipped with a giant screen 30% bigger than standard cinemas, complemented by more than 350 luxury seats. Besides using Christie’s groundbreaking laser projection, the auditorium has also been fitted with the innovative Christie Vive Audio™, the cinema industry’s only purpose built line array speaker solution, which has been configured to meet the requirements of Dolby® Atmos™. The five newly acquired laser projection systems will be installed by Christie’s valued partner, Arraystech Digital Systems, Inc. in “Large Screen Format” auditoriums located at SM Megamall in Metro Manila, SM Mall of Asia in Pasay, and SM City North EDSA in Quezon City. Based on the Christie Freedom® laser illumination system, the Christie CP42LH RGB laser projector delivers 4K resolution, replicates the Rec. 2020 color space for the best color reproduction in the industry, and consists of rack-mounted laser modules where each module can produce up to 5,000 lumens of white light. Due to the scalability of this platform, up to 12 laser modules can be easily added, removed, activated or disabled depending on the brightness requirements, providing up to 60,000 lumens per rack. Each laser module is also independently cooled, providing built-in fault protection, improved efficiency and ultimate reliability. 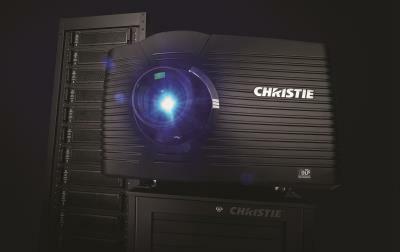 Since its rollout last year, Christie’s 6P laser projection system has become the preferred choice for a premium 3D cinema experience in a number of cinema chains around the world. In Asia, theaters equipped with Christie laser projection technology include Tongzhou Wanda Cinema in Beijing, the iconic Shanghai Film Art Center, and Korea’s CGV Starium in Seoul. More 6P laser installations are scheduled in China, Korea, Australia and the Philippines in the coming months.